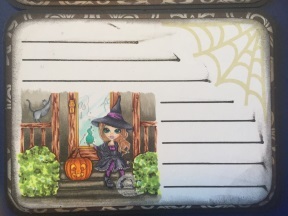 Faery Ink and some other digital stamp companies are having a Halloween Party over in the Markers! Papers! Digis! Facebook Group this month! 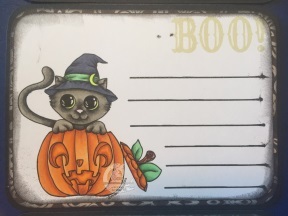 Amanda from Faery Ink has designed this adorable Kitty Jack-o-Lantern digis as a "treat" for everyone and she asked us to do up some inspiration projects for you! 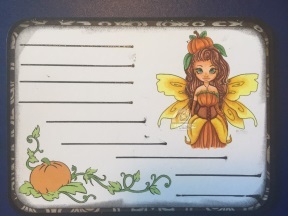 So I used it to make my flip book for the Faery Ink Swap that's happening right now. Now this swap has closed but we do them a few times a year so after you go get your adorable Kitty Jack-o-Lantern pop by the Faery Ink Swap Group so you can get in on the next one! So are you ready to see some adorableness??? How sweet is he?!?!?! I loved working with this adorable little guy to create this flip book!! Such a cool project!! I love all the little pockets to put goodies for my swap partner!! 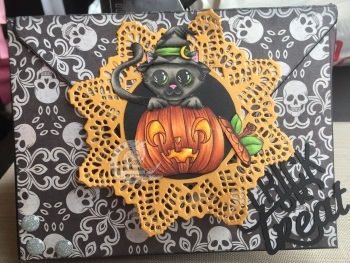 Faery Ink- Kitty Jack-o-Lantern which you can get in the Markers! Papers! Digis! Facebook Group!! And then different little things to fill each pocket with for my swap partner but I'm not telling what yet!! OK MY SWAP PARTNER HAS HER FLIP BOOK SO YOU WANNA SEE WHAT I PUT IN THERE?? JUST AWESOME!! IF I MAY SAY SO MYSELF!!! Now off you go to go get your Kitty Jack-o-Lantern!! See you all soon!! !